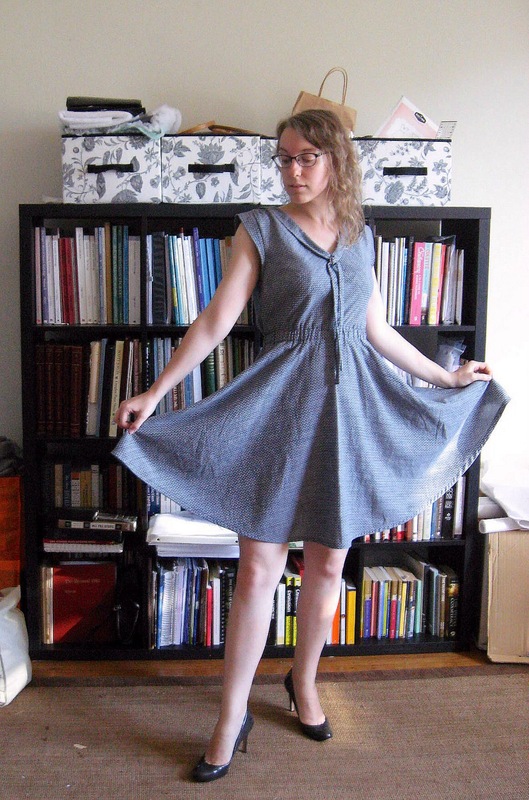 Ever since I began sewing again last fall, I have loved pretty much everything from the French pattern company Deer and Doe, yet for some reason I’ve been too scared to make their dresses. 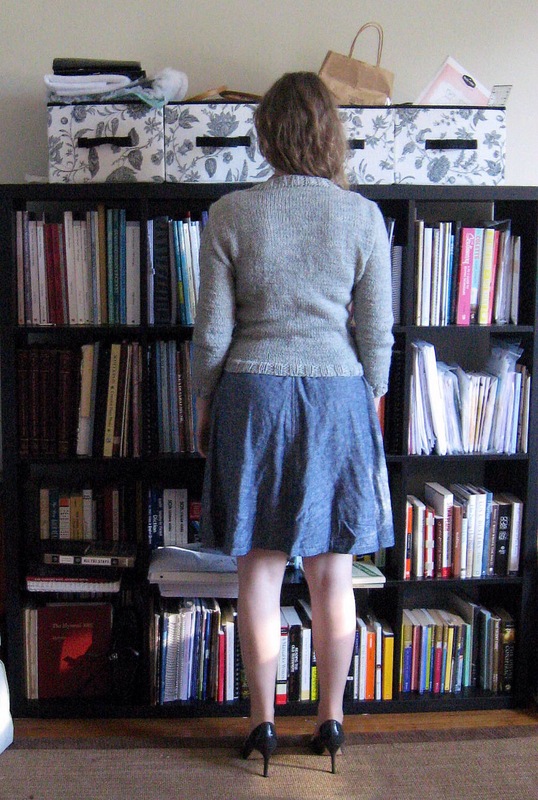 Skirts, and even jackets, sure, but dresses? Eek. I’m not really sure why I have this phobia – they’re just too cute, it’s too good to be true if they’re easy, too? Maybe something like that. Anyhow, during my final days in Boston I did some pretty serious binge-shopping at Grey’s Fabric, including several Deer and Doe dress patterns, so now I have no excuse not to make them. It was time to take the plunge! 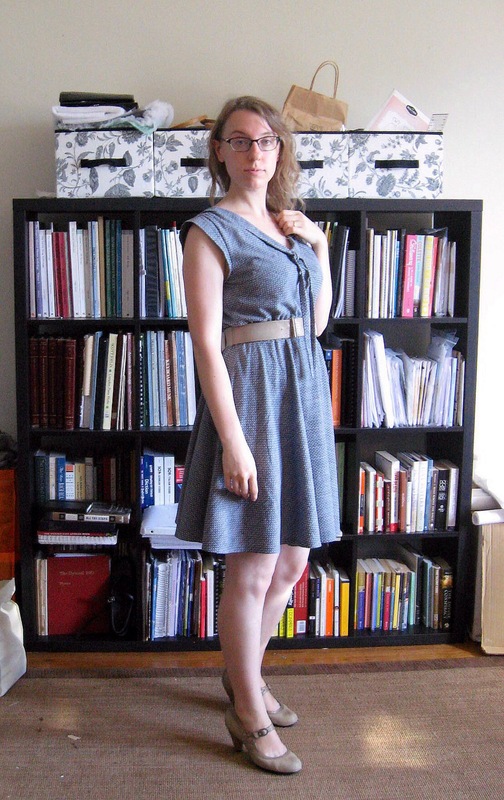 Another thing I bought during my Grey’s binge was some lovely Robert Kaufman dot chambray, which I immediately knew I wanted to make into a Reglisse dress. The full skirt, the neck ties, and the adorable silhouette have been calling to me for some time now, so I finally gave in. Of course, even after purchasing the pattern and the fabric, it took me a while to gather up the courage to actually sew the thing. But I finally did! …and I love it!! It’s such an easy dress to wear, with the elastic waistband and loose fit, and yet it still feels so elegant I think it counts as “dressing up.” Sewing up the dress did have its challenges, of course. 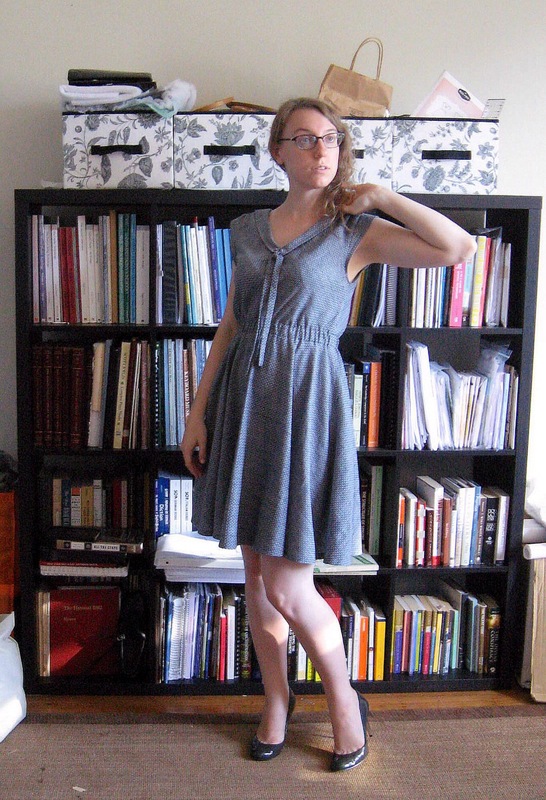 As an intermediate level pattern, the dress features a bias cut top, and has minimal instructions to boot, so I had my work cut out for me. 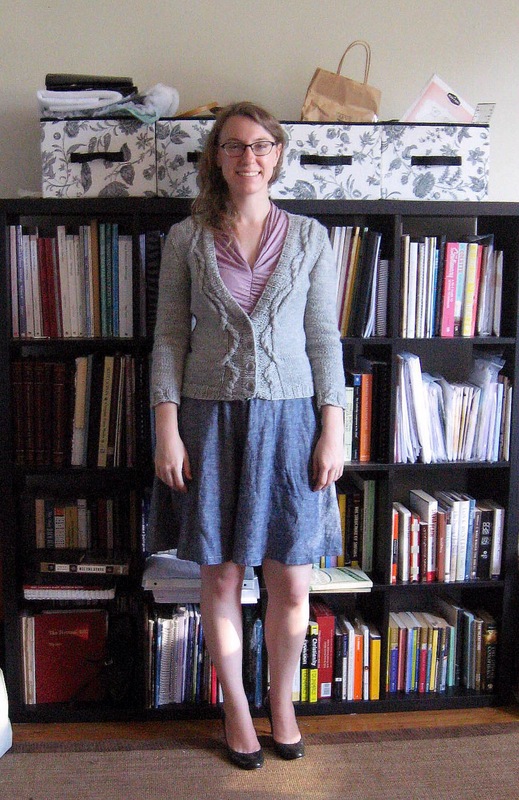 I also used bias tape to hem the dress, as recommended in the pattern. 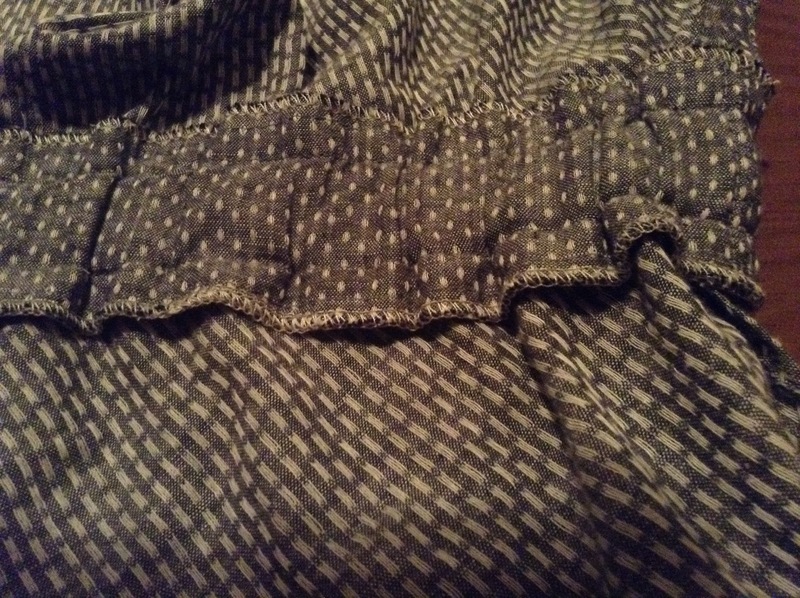 I hadn’t done this before, but I loved the technique – it made hemming the deep curve of the circle skirt so much less painful! It also provides a little bit of body to the skirt, which I love. 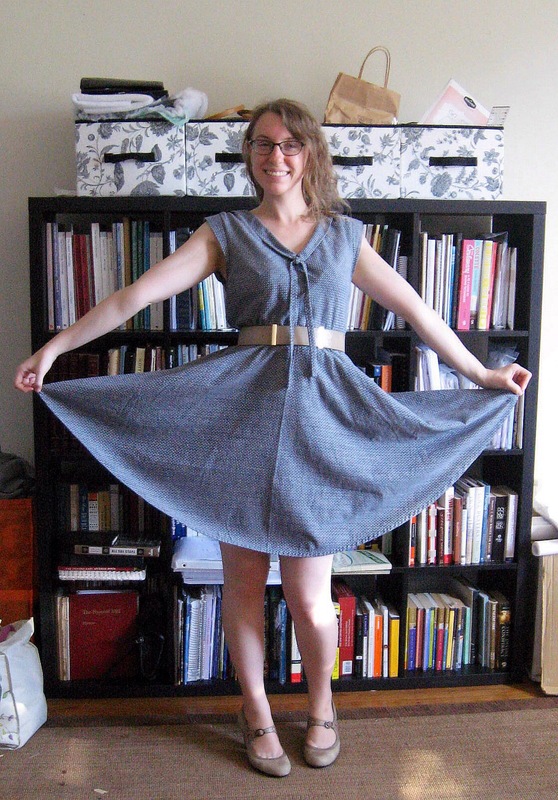 Now that the dress is made, my big question is: to belt or not to belt?? At first I liked it better with the belt, but I feel like it hangs better without. What do you think? Wow, it’s been a million years since I blogged! 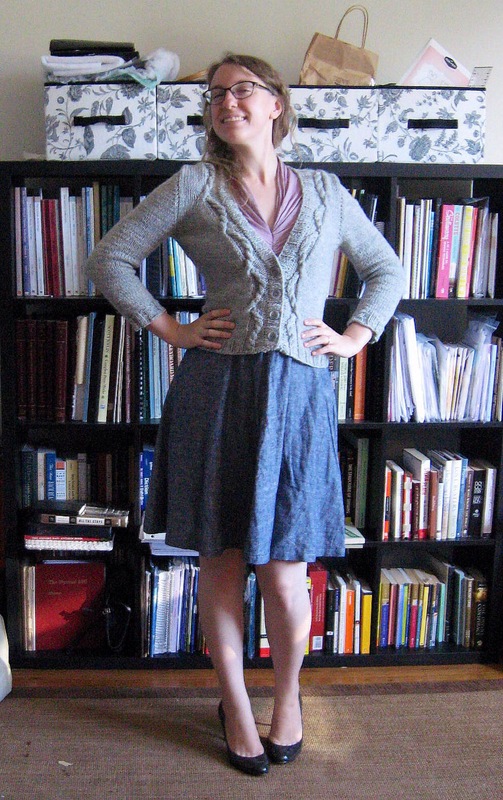 I’m still trying to figure out the “rhythm” of my new San Francisco life, and while I’ve been doing a great job of, say, knitting and running, I’ve really been slacking on blogging and, weirdly, sewing. For some reason my sew-jo has really taken a hit with this move, and I’m still trying to get back into the swing of things. 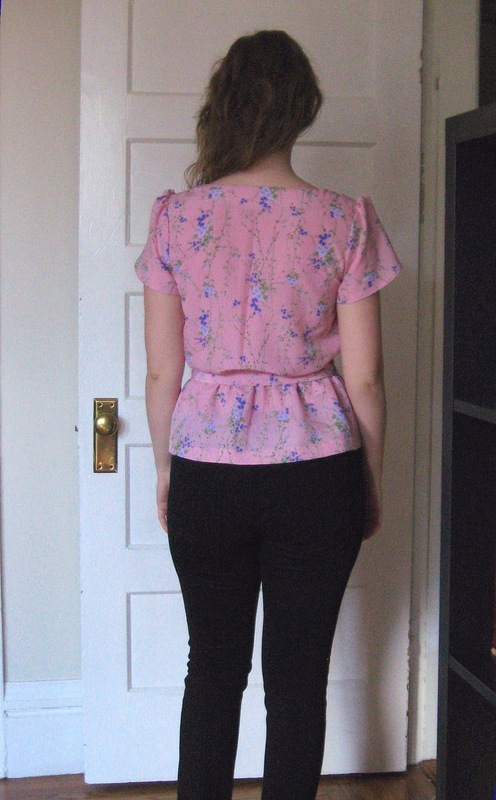 However, one of the projects that really motivated me to get sewing again was my first opportunity to test a pattern! I’ve been wanting to take part in pattern testing for a while, so when Katy and Laney put out the call for pattern testers, I enthusiastically volunteered. Pattern testing was a bit of a scary process for me – I usually like to research a pattern before starting out, seeing how the design works in different fabrics and on different bodies, as well as learning about common problems or alterations, so I really felt like I was going into this process blind. 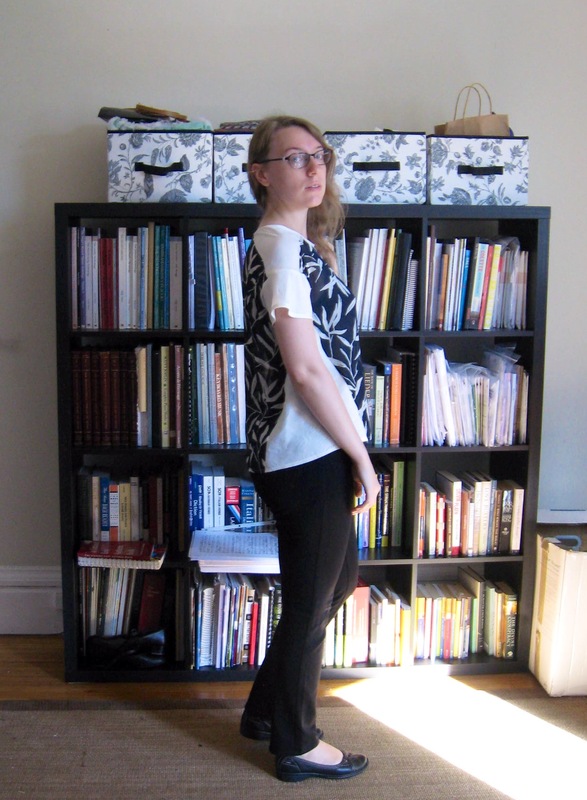 I think that was really good for me, though – it forced me to use my own critical thinking skills to think through fit, fabric, and construction instead of relying on the internet to answer all my questions. 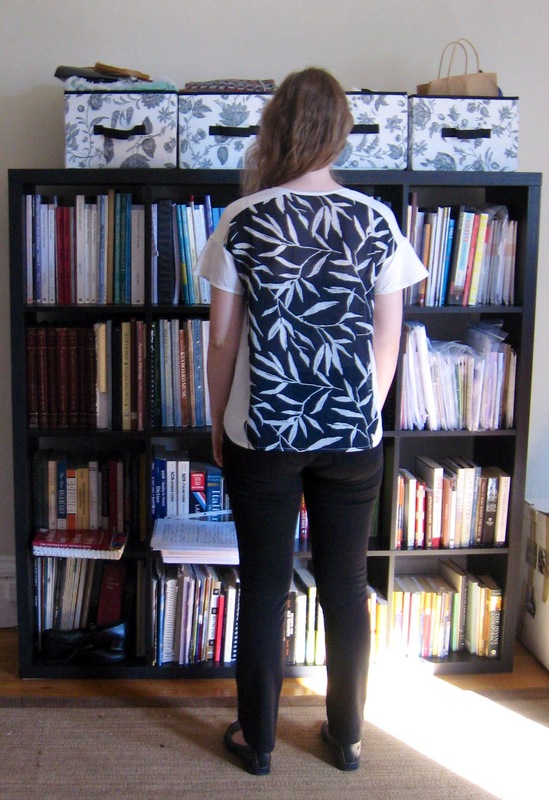 That being said, I now present to you…*drumroll* the Geometry Top! This loose-fitting top is surprisingly figure-flattering, with angled side insets that create the illusion of an hourglass figure ( and believe me, I need all the help I can get in that department!). 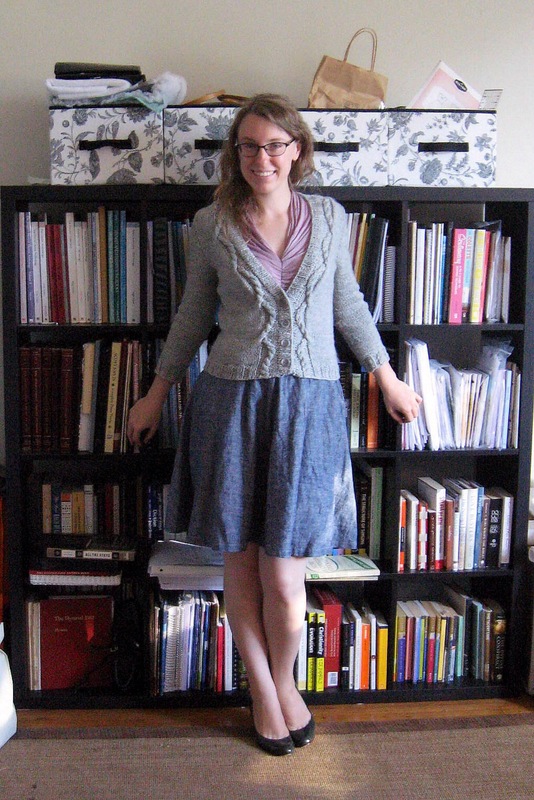 I sewed up a size 4 with no fit alterations, though I may lengthen it a bit next time. Although my measurements pretty much exactly fit their size 4, I was considering going down a size, since super loose styles tend to make me look like I’m wearing a sack. 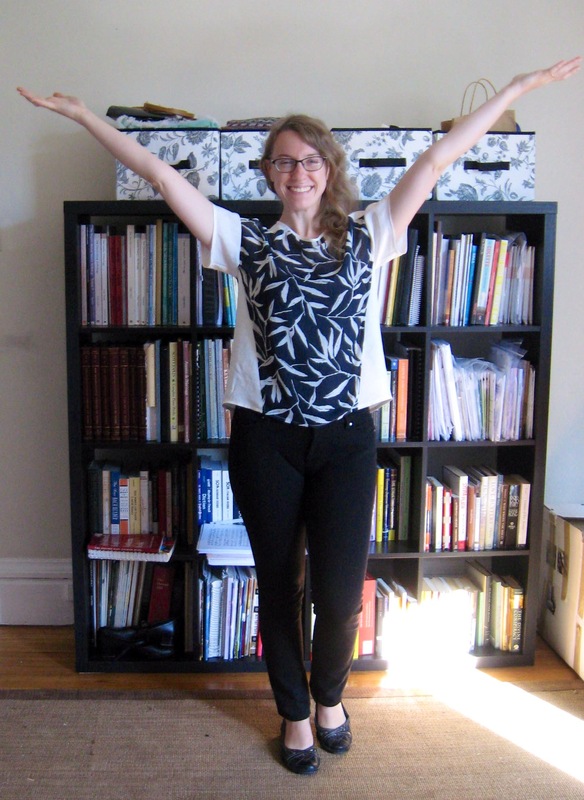 I’m very glad I stuck with my correct size, though; it’s actually not too roomy – just the right amount of drape – and fits fabulously through the shoulders (something that’s pretty important to me as a pianist!). Although it’s a simple style, the pattern level is listed as “intermediate,” which I think is very appropriate – the bias side seams can be a bit tricky if you’re not used to them, and the slippery fabrics recommended can be finicky. That being said, this is a great way to bridge from beginner to intermediate, so don’t let it scare you! If you’ve been wanting to experiment with drapey fabrics but have been afraid of a bigger, more involved project, this is the perfect pattern for you. Speaking of fabrics, let’s talk about that, shall we? I went the classic Sound of Music route and made mine out of a curtain and a bed sheet :P. Yup, that’s right! I didn’t have very many drapey fabrics in my stash, so I got creative. The sheet is a lovely sand washed silk with a nice medium drape, and the curtain is some sort of polyester chiffon, most likely. I started out trying to make the pattern from a cheap polyester satin back crepe, which was a total disaster. The fabric didn’t have the proper amount of drape, and just hung like a sack. 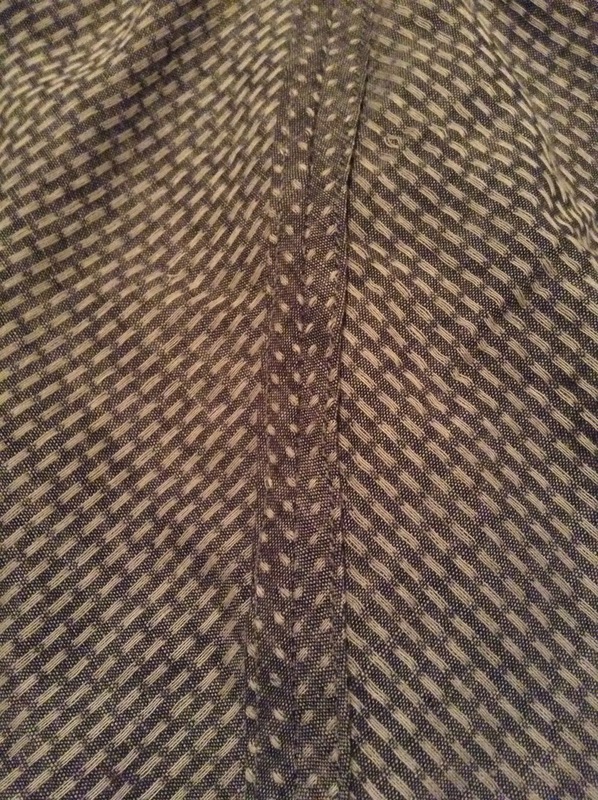 It was a classic case of the fabric not fitting the pattern, and I ended up abandoning that version. So just be sure your fabric really is nice and drapey. Don’t be afraid of silks and rayons! They are your friends for this project :). So, that’s the Geometry Top! My version blogged here used the test pattern, and a few alterations were made since testing (mostly with the sleeves and the neckline), so I hope to have a second version up soon with the finished pattern. Congratulations to Katy and Laney for another fabulous pattern! They really are inspiring gals, both in the blogosphere and in real life, and it’s been a pleasure getting to know them! After weeks of waiting, my machines finally arrived last weekend! It has been a joyous reunion, although the going has been slow, as we are still unpacking the multitude of belongings that showed up on our doorstep last weekend. 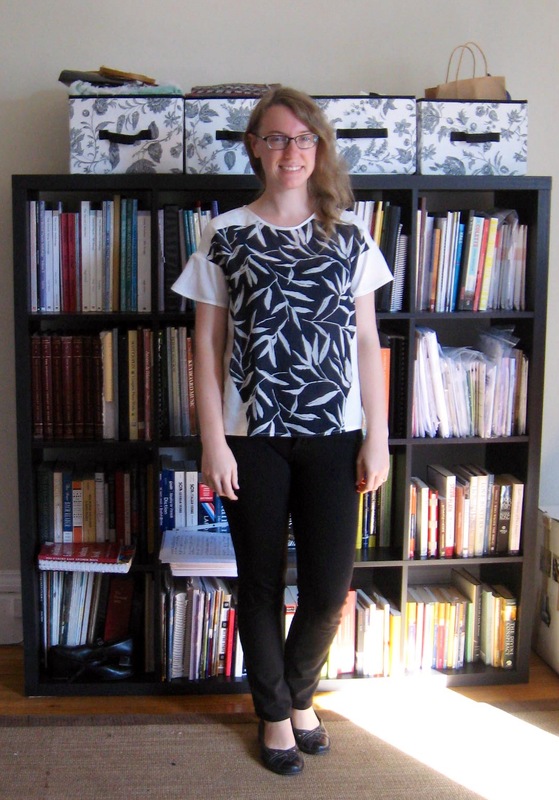 However, I am happy to get to show off a brand new make, and my first finished project sewn in San Francisco – the Sewaholic Yaletown Blouse! 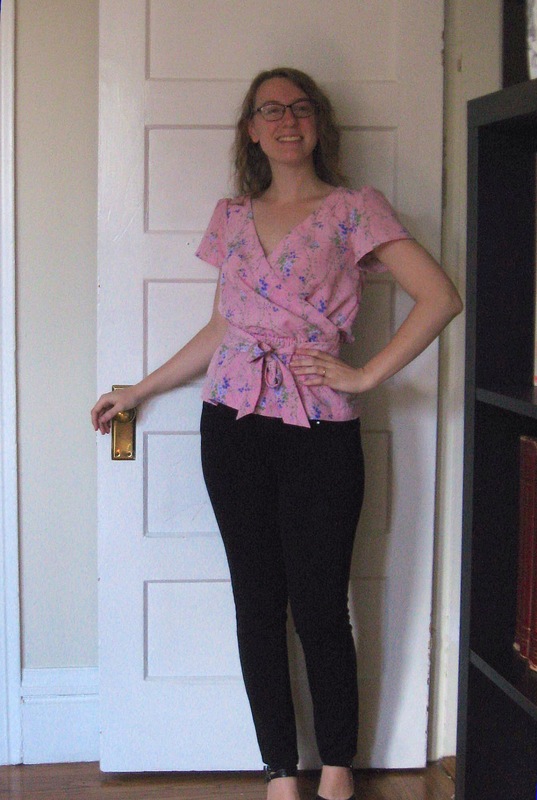 I knew for a while that I wanted to make this pattern right away after getting my machines back – the loose fit meant that I wouldn’t have to fiddle around with too much fitting, and the elastic waist would be forgiving on my recently expanded waist measurement. 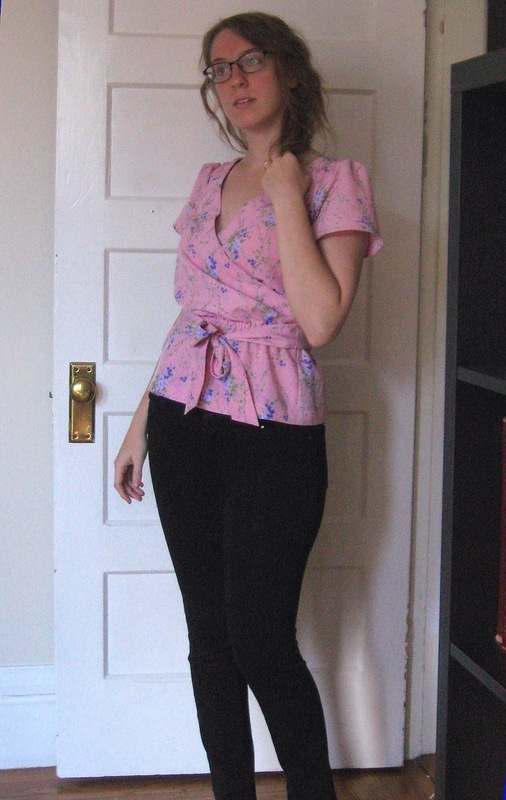 I decided to start out with the blouse version as a “wearable muslin” before jumping into a full dress, just in case it needed some adjusting. I didn’t make any fit adjustments this time around, and I think it turned out pretty well! The style is a little on the blouse-y side for me, but I still like it. 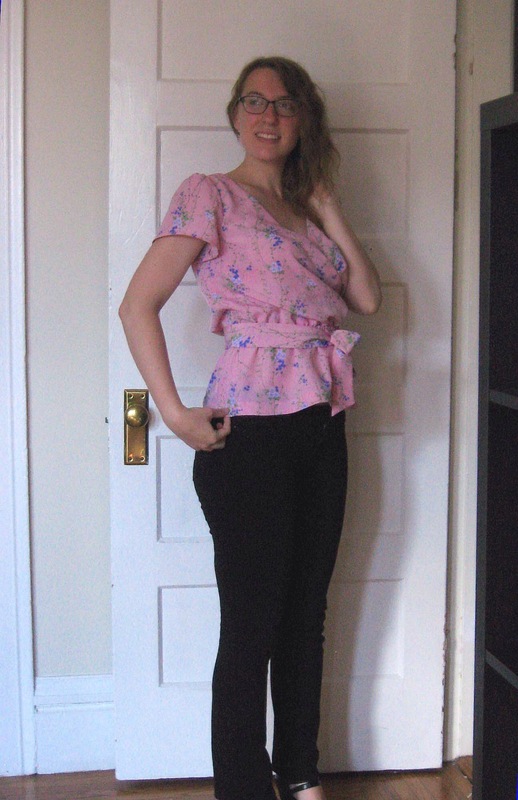 I’ve been really into peplum tops recently, so I was glad to add another to my collection. The project came together very quickly – just an afternoon plus a morning! 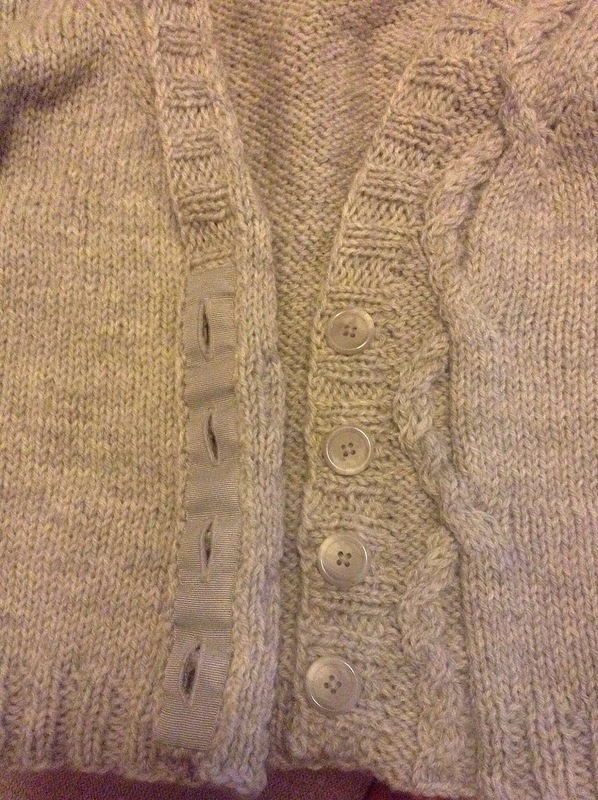 I followed along with Caroline’s sewalong on the Sewaholic blog, which had some nice tips, including a way to make polished, professional looking thread loops. I always love learning new techniques, so I appreciated those details! The fabric I used was a drapey polyester inherited from my mom. I couldn’t quite get the grain to straighten when I was preparing the fabric (another reason I made a top instead of a dress! ), but I don’t think it’s too noticeable. I’m also not 100% in love with this silhouette on me – a little on the muffin-y side, perhaps. What do you think? But most importantly, I MADE A THING, y’all!! It feels soooo good to finally be sewing again, and I can’t wait to get to work on more projects. I have so many in mind already!